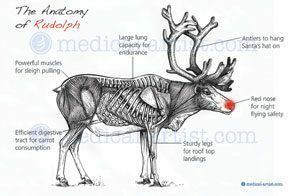 All of us at Medical-Artist.com would like to say thank you for your support over 2011. We wish you a very Merry Christmas and we look forward to hearing from you and hopefully working with you in 2012! Have a great Festive Holiday. Click here to see the full Christmas Card to you and our Joke from the Christmas Cracker!